her research activities, Meghan writes for a popular ecology blog, Dynamic Ecology. 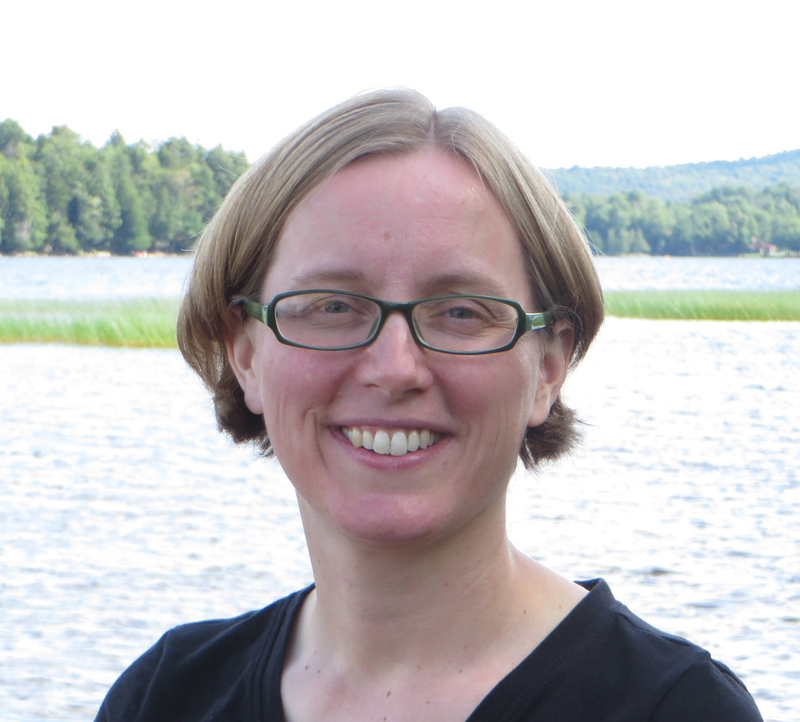 Meghan has received a Presidential Early Career Award for Scientists and Engineers from President Obama, the Mercer Award from the Ecological Society of America, and the Yentsch-Schindler Early Career Award from the Association for the Sciences of Limnology and Oceanography. Meghan is currently a public engagement fellow with the American Association for the Advancement of Science. Her outreach activities include leading hands-on activities that introduce middle school students to ecology and training high school students from SE Michigan in how to work with data. She also writes for and speaks to general audiences; she was a speaker at the March for Science in Washington, DC in April 2016 and her writings have appeared in Ensia and on Medium. She also done media interviews on the value of basic science (a.k.a. blue skies research), women in science, and work-life balance. Here’s Meghan’s story. I always liked science and was good at it, but there were lots of other things I liked, too. As I describe in the blog post that I have in the answer to the next question, there were lots of happy accidents that led me to a career in science. One thing I don’t mention in that post but that I think was influential: I went to a teeny little Catholic high school. My last year in high school, I was one of only four students in my Advanced Biology class. My teacher signed us up for a workshop at Cold Spring Harbor Labs. We got there, only to learn that they’d cancelled it but forgotten to tell us because we were such a small group they’d overlooked us. They felt bad about us and we got invited back for a behind-the-scenes tour. Seeing the facilities was really amazing and I’m sure that made me more excited about a potential career in science. If nothing else, it was the first time that I really realized people did research as a career. I have a blog post on how I ended up an ecologist! The short version is that there were a lot of happy accidents that led me to ecology. I stay an ecologist and a professor because I can’t think of something else that I think I would enjoy doing more. And, yes, I do think about this somewhat regularly (even though that seems odd to some folks! ), as I think it helps me focus on what I want to be doing with my time. I am a disease ecologist and an aquatic ecologist. I study the ecology and evolution of infectious diseases, focusing on tiny shrimp-like creatures named Daphnia that live in lakes. I’m interested in understanding why disease outbreaks occur. Increasingly, I study how global change will influence the timing and severity of disease outbreaks in lakes. I also care a lot about teaching. I teach Intro Bio to about 550 students during the fall semester. I’m interested in understanding how to teach more effectively, as well as how to improve the experience for students in large intro courses. (As one example, we’re beginning a research project to try to address student mental health.) I also spend an increasingly large amount of time on public engagement activities, such as advocating for science funding or diversity in science. I spent a lot of time this summer developing and leading an activity for ~95 high school students from Southeast Michigan that focused on teaching them how to analyze data to answer questions relevant to their daily lives. Finally, I try to make academia a more welcoming place for people from all backgrounds. One way I do this is by writing blog posts (at the Dynamic Ecology blog) aimed at other academics, where I cover things like mental health, work-life balance, stereotype threat, etc. One reason is that basic scientific research (a.k.a. “blue skies” research) can have unexpected direct applications. The best example of this from my work comes from recent work done by one of my graduate students. To quote from a piece I published on Medium: “My lab at the University of Michigan studies disease outbreaks in Daphnia, tiny shrimp-like creatures that live in lakes, because they are key players in food webs, eating algae and serving as an important food for fish. Surprisingly, as we studied Daphnia and their parasites, we discovered chemicals that prevented them from getting fungal infections. Fungal infections in humans kill three times as many people as die from breast cancer each year; options for treating these infections are limited and becoming even more so due to drug resistance. We are now testing to see if the chemicals that prevent fungal infections in Daphnia also work against fungi that cause devastating infections in humans. I would not have predicted that research in my lab might lead to an important new medicine for people, but this is how basic research works: working on a topic that seemingly has no direct relevance to humans can lead to breakthroughs that have enormous, unanticipated impacts” – Medium piece here. I have three little kids (ages 6, 4, and 1.5)! They keep me busy, and force a certain amount of work-life balance. I run. While I sometimes run longer distances (I did a half marathon this spring), my real goal is to run (at least) 2 miles a day every day for the rest of my life. I also love baking! At the end of the semester, I often have a major bake-a-thon as a way of unwinding from the semester. My ideal day off would involve a run in the morning, playing at the park with my kids, coffee with a friend, time to talk with my spouse without the kids interrupting us every 6 seconds, and reading a book. (I’m currently working my way through the Amelia Peabody series!) I am not the world’s most interesting person. Please welcome Meghan to Real Scientists!